Nature has an answer to all your problems. So, if you are facing trouble in flashing that smile of yours because of the oral problems, then we have a solution for it. 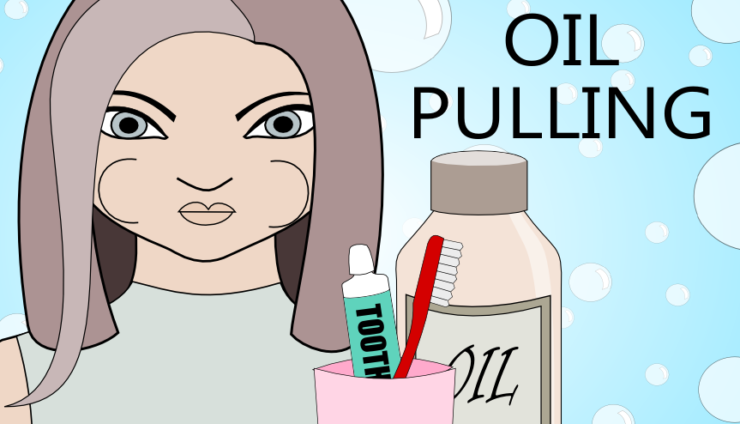 Try Oil Pulling! Oil pulling, also known as "Kavala" or "Gundusha," is an Ayurvedic technique of oral hygiene maintenance. It just involves hissing an edible oil like sunflower, coconut, or sesame oil in your mouth to reduce plaque, treat gum problems, fight bacteria, eliminate bad mouth odour, and relieve dry mouth. Yes, it is as simple as that. Oil Pulling using sesame oil can protect your teeth from tooth decay. This is because sesame oil has antibacterial property and can fights the bacteria causing tooth decay, example Streptococcus mutans and Lactobacilli acidophilus. Oral bacteria is responsible for that unpleasant smell in the mouth. A study found that oil pulling can reduce bad breath and eliminate bacteria associated with it. Lichen planus is an irritating scratchy rash that can appear on any body part. The exact cause of lichen planus is still unknown but, sometimes it can be caused by a hepatitis C infection or any allergic reaction to certain dental filings. Oil pulling especially with coconut oil can help in such a condition. Plaque is formed when foods containing carbohydrates such as sugar, milk, carbonated drinks, raisins, or cakes are regularly left on the teeth. Bacteria in the mouth thrive on these foods, producing acids as a result. These acids are harmful and strong enough to destroy the tooth enamel. Therefore, repeated attacks on the teeth by the acids result in a cavity (or hole) on the tooth surface and inflammations of the gums making it difficult to enjoy your favourite meal. But thanks to Oil pulling which can solve this and much more.